Extreame Savings Item! 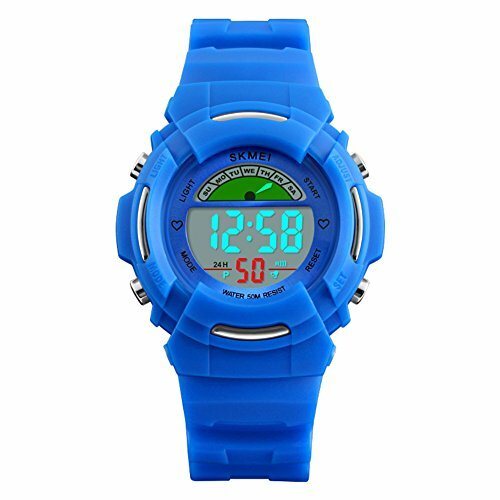 Save 42% on the Boys and girls Sport watch,50m waterproof Digital stopwatch 24-hour instruction Alarm Calendar Luminous Outdoor Multifunction Adolescent [child] Chronograph stopwatch-B by FXBNHDFMF at Watches Sales. MPN: CNMXG122. Hurry! Limited time offer. Offer valid only while supplies last. About Waterproofing: 100mwaterresistantwatchfordailyuse.handwash,Zazie Rainyday,Sweating,Noproblem! Note:Pleasedonotpulloutthebuttonunderwater. Any Questions,Please Feel Free To Contact Me,For Every Customer To Provide Better Service,It Is Our mission. Precise Time Keeping:Electronic Movement, Provide Precise And Accurate Time Keeping. Solid watch,With beautiful pin buckle,Durable and durable,Has excellent quality and price ratio. Apply to any occasion:Perfect for both indoor and outdoor sports,Such as running,Hiking,Biking,Climbing and so on.Great gift for friends.